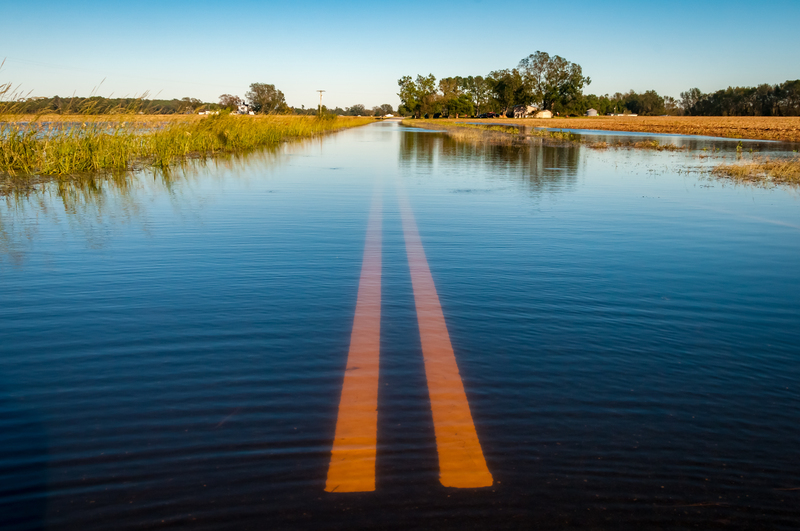 While some stream dredging or construction of levees in key locations may need to be part of a solution set, there are other immediate steps that we can take to reduce flood risks. State policy and government funding should focus on two concurrent efforts. First, the state should invest in buyout programs to move people, homes and critical infrastructure out of the floodplain. A recent report from the University of North Carolina provides an excellent discussion and policy recommendation on buyouts. Second, policymakers should prioritize efforts to reduce riverine and coastal flooding in downstream communities. Here are three ways North Carolina policymakers can achieve this second objective. As flooding is among the most costly impacts of natural disasters worldwide, an effective approach to reducing flood risk is to retain water on the landscape where trees and vegetation absorb the water or allow it seep back into the water table. Commonly referred to as natural infrastructure, this approach uses existing or restored floodplains, streams and wetlands to slow and store stormwater. Importantly, natural infrastructure can be rapidly deployed by North Carolina’s existing private ecological restoration industry in the locations where data indicates it will provide the greatest benefit to downstream communities. By working with nature, instead of attempting to control it, we can provide meaningful benefits to the environment, communities and landowners alike. In the late 1990s, as North Carolina’s economy and population were growing, construction of new highways, neighborhoods and other critical infrastructure were impacting waterways, and the state was falling behind in meeting its obligations to avoid loss of streams and wetlands impacted by this development. To tackle this problem, the state established what is now known as the Division of Mitigation Services (DMS). DMS was set up with an eye toward effectively leveraging the power of the private sector to address the backlog of required environmental restoration projects by awarding competitive contracts to private businesses in the mitigation industry. The program is still effective today, relying on commonsense market principals to deliver cost-effective projects to restore degraded streams or wetlands. Importantly, firms receive full payment only after projects have been successfully completed. Working through DMS, the state can empower the private sector ecological restoration industry to help bolster community preparedness for flooding. But one more step is needed, first. While no single step or solution will eliminate flood risk from a hurricane the magnitude of Florence, natural infrastructure provides a rapid approach for communities to reduce and more effectively manage both seasonal and extreme flooding. This year, lawmakers and administrative officials have the opportunity to pioneer new approaches – ones that build on previous successes and leverage the private sector’s expertise and competitive spirit. With these steps in place, state leaders can rapidly deploy environmental restoration projects that reduce flood risks while providing year-round benefits to families, farms, communities and nature. This entry was posted in Coasts and tagged flood, hurricane, North Carolina, policy. Bookmark the permalink. Both comments and trackbacks are currently closed.